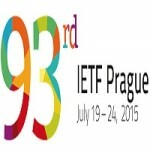 From 19 to 24 July 2015, in Prague will be held 93ti IETF (Internet Engineering Task Force) gathering. For this event, which lasts five days have been registered over one thousand guests, and the announced agenda has many different themes of the IT area, routing protocols, DNS, management and security of the network and many others. 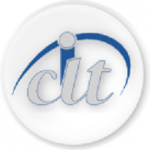 Host of the event will be Czech Domain Registry http://www.nic.cz/, with which MARnet cooperates. In the sequel, link towards the website on which are published more details about the event. 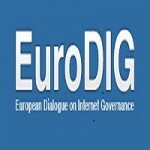 On 06.03.2015, the day before the EuroDIG, for the first time was held SEEDIG (South Eastern European Dialogue on Internet Governance). MARnet actively participated in the event by sharing his experience for IDN ccTLD .мкд. The idea for the organization of this type of dialogue within the European event was supported by MARnet and was part of the organizing committee. Within the GEANT project, GN3+ for which in the Republic of Macedonia is responsible MARnet, on 23.4.2015 Campus Best Practice workshop was held. It was organized as part of the annual conference of FINKI CIIT 2015 which is traditionally held every year in Molika. This event is mostly for the members and managers of network operating centers in universities in R.Macedonia. Organized by the European Commission Enhancing Cyber Security Project in cooperation with the Agency for Electronic Communications AEC from 4th to 5th of May 2015, was held CIRT workshop on which MARnet had its representative. On the following link you can see more detailed information about this workshop. For the fourth time, form 21 to 22.04.2015 in southeastern Europe, it was organized a regional gathering that offers network engineers and other technical personnel to learn, to network and to share their knowledge and experience. At this gathering were present representatives from academic networks, educational institutions, government sector as well as representatives of the the Internet exchange points. MARnet was presented at this event, as well as all previous three organized in South East Europe. Macedonian academic research network is highly aware of the energy consumption. 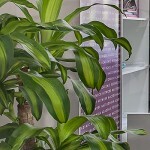 In order to ensure environment sustainability, economical effectiveness and efficient management of the operations and equipment, we work on establishment of standards for economical environmental performance. Since 10.06.2014 came into force a new Manuel for organization and management of ccTLD .mk domain and IDN ccTLD .мкд domain. With this Manuel, for the first time is possible online registration of national domains. In just a few minutes, the desired domain can be registered with the mediation of registrars. Despite this huge relieving aspect, it is vital to ensure that the entered data is correct, for accuracy and efficiency to avoid further problems in domain operations. Several months earlier market of the Macedonian domains was extended by introducing of registrars. The choice for end users increases and decreases time and resources which until now were required to register a new domain. With the introduction of the national cyrillic domain (.мкд) in international internet space, we made one step forward in the consolidation of the Macedonian language and alphabet, which is only a continuation of the great works of the Macedonians throughout the past. This was emphasized by the Minister of Information Society and Administration, Ivo Ivanovski, at today’s presentation of the Cyrillic domain which was held at the Institute for Macedonian Language “Krste Misirkov” in Skopje. Together with the director of the Macedonian academic research network – MARnet Saso Dimitrijoski and Director of the Institute, Goce Cvetanovski, the Minister presented several examples of national domains that contain Cyrillic letters characteristic of the Macedonian alphabet.